Michael Tsegaye born in 1977, is a fine art photographer who has worked extensively in Ethiopia with a focus on detailing the nations story. Exquisite landscape photography, specifically seen in Tsegaye's Afar (2010) and Ankober (2006) Series where images burst with textures and spirit of the the East African Nation. His expiration of alternative and intimate stories of Ethiopia is represented in Chasms of the Soul: A Silent Witness Series (2010), where Tsegaye explores the impermanent nature of seemingly permanent structures. Stunning images of gravestones in Ethiopia, show how as a result of time, those already buried continue to experience a second death; the gradual deterioration of their entombed identity. It is a physical, piece-by-piece annihilation that eventually wipes all memory of their previous existence extinct, thus resulting in an absolute state of nonexistence. 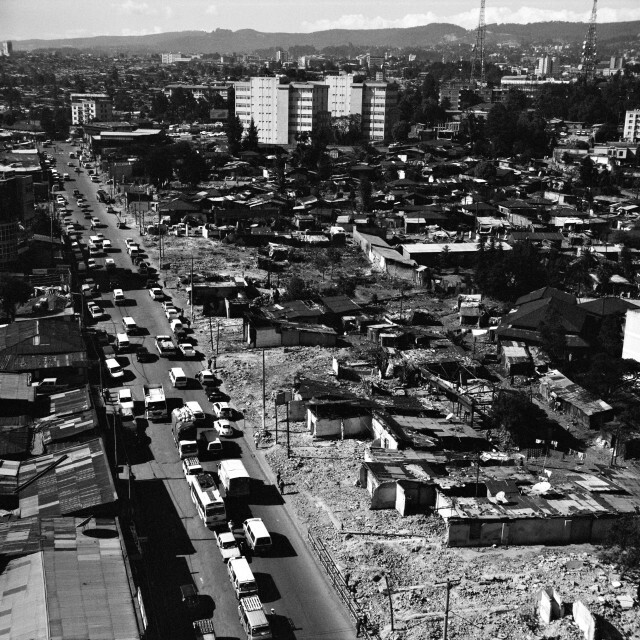 This work is part a wider collection of works called 'Future Memories' where Tsegaye has attentively recorded the wider distraction and redevelopment of Addis Ababa. Tsegaye’s work has been exhibited across the world, in cities such as: Paris, New York, Bamako, Oslo, and London. His work has also been featured in publications and catalogues like: Recent Histories: Contemporary African Photography and Video Art from The Walther Collection, Snap Judgments: New Directions in African Photography, edited by Okwui Enwezor, and published by the International Center for Photography. Tsegaye’s work has also been displayed at several international art fairs, including: The Armory, 1:54 Contemporary Art Fair, AKAA and Cape Town Art Fair. Michael Tsegaye’s Group and solo exhibitions include: Recent Histories, Contemporary African Photography and Video Art in 2017 at the Walther Collection Museum in Germany, Ankober, Addis Fine Art, Addis Abba (2015-2016), Medecins Sans Frontiers, National Museum Addis Ababa (2011), For a Sustainable World, African Photography Biennal 9th Edition, (2011), Selam Arts Festival, Toronto, Canada (2010), Hotel Dystopia Room #25/55: Al Bastakiya Art Fair, Dubai, UAE (2010) and Aksum Rediscovered: The Reinstallation of the Obelisk, The UNESCO House, Paris, France (2009). Tsegaye also works as a photographer for publications such as, Der Spiegel, Jeune Afrique and press agencies such as Bloomberg and Reuters.